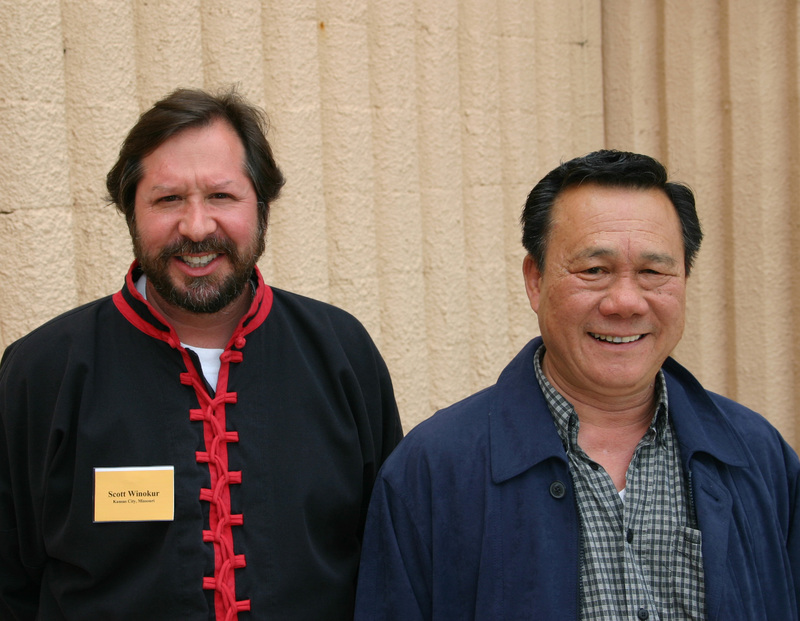 Three kung fu greats: Master Randy Li (Sifu Winokur's Tai Chi and Wing Chun teacher), Sifu Scott Winokur, and Master Jimmy Wong of Taiji Legacy in Texas. 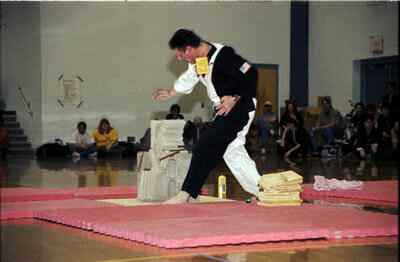 Sabam Bill Carr breaks bricks at the Masters' Demo. 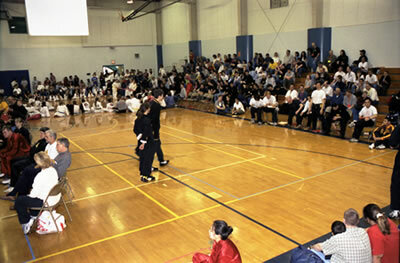 Many talented practitioners from several states competed in various events. Sifu Ray Hildreth demonstrates the power of chi, concentration, and conditioning by bending two steel rods with his throat. 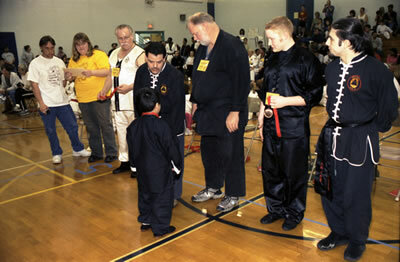 Temijin Strickland receives a medal from the judges. 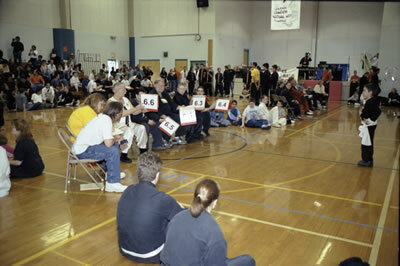 Judges rate a competitor's presentation. 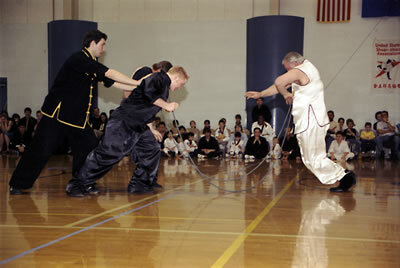 A competitor from a Korean style participates. 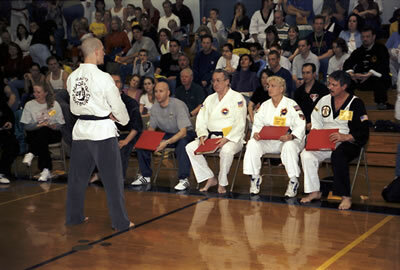 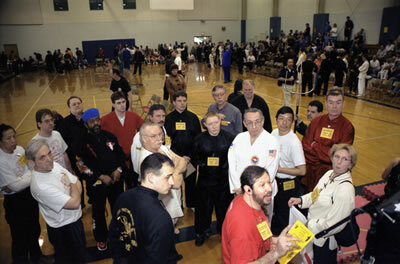 Sifu Scott Winokur explains the rules to the judges. 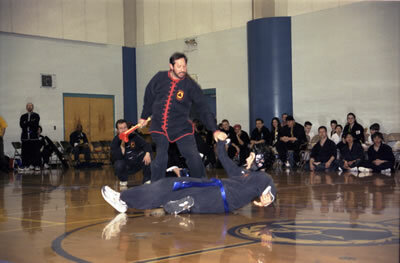 Sifu Scott Winokur demonstrates a use of the fan on Nathan Lorentz as part of the Masters' Demo. 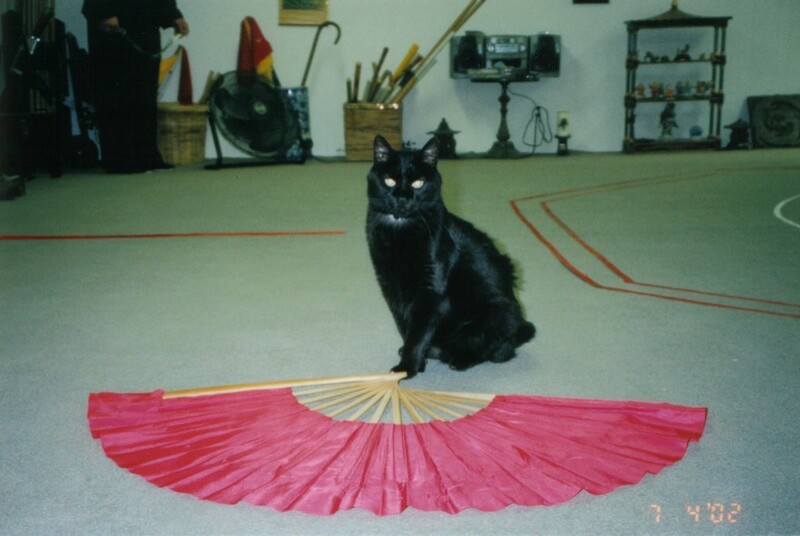 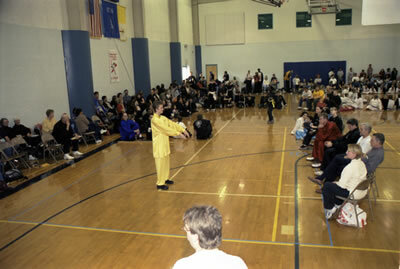 Sifu Scott Winokur continues the fan demonstration. 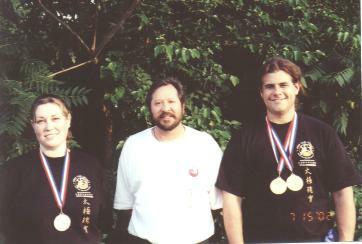 Sifu Scott Winokur poses with Devon Wright (left) and Scott Walker (right), who are wearing their medals from the Taiji Legacy tournament. 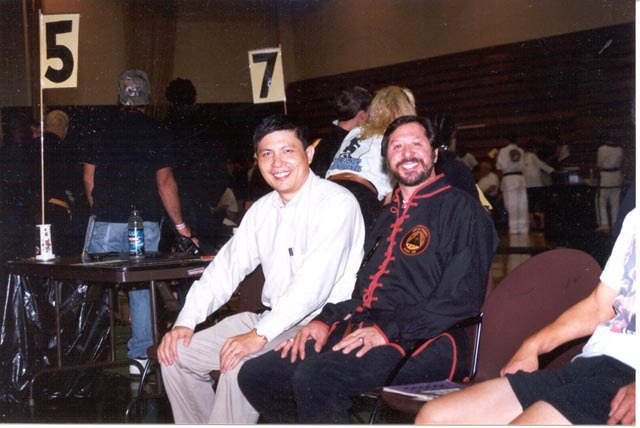 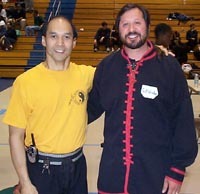 This tournament is the largest Chinese Martial Arts tournament in the United States. 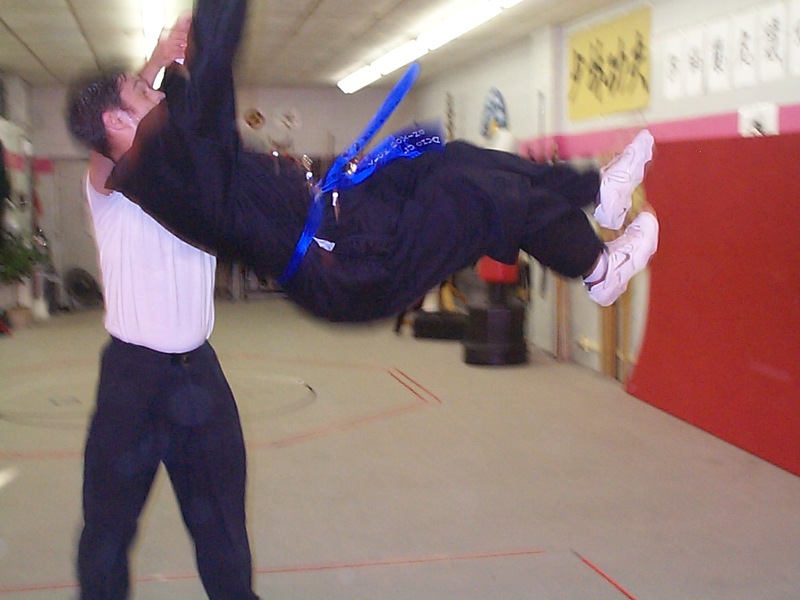 Derek Mullins is being thrown, courtesy of Sifu Scott Winokur. 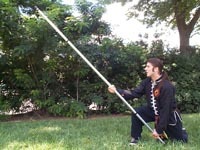 The monkey pole can remove horseback riders as seen from this move by Elisha. 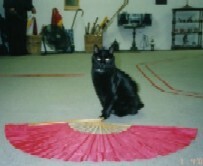 Pao Ying poses with a Steel Fan. 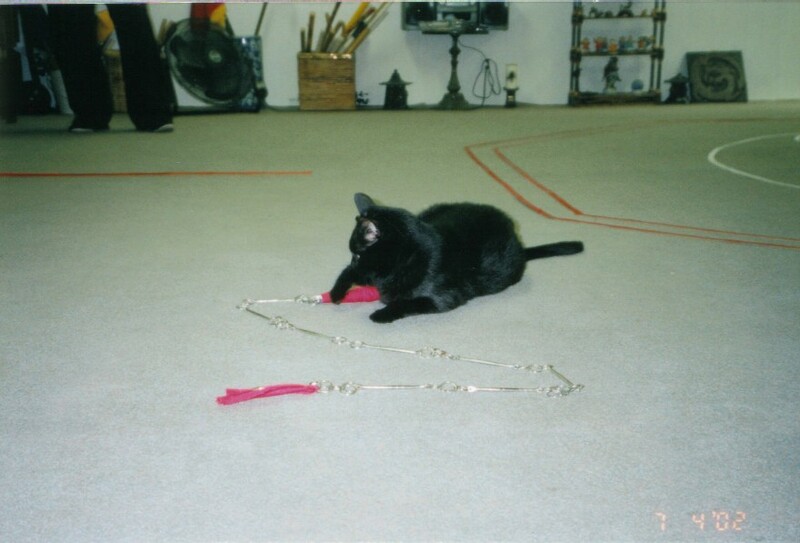 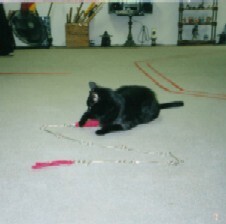 Pao Ying with a Nine-Sectional Steel Whip. Pao Ying comments on a student's form.